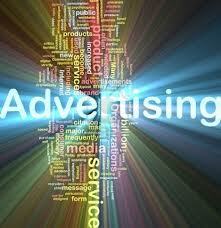 The advertising model is interesting to follow because several startups are banking on it. As part of my promise to cover business models, I’m going to dive into advertising. Although the label “advertising” conjures a single moniker of representation, there are several nuances to its making. It’s not as simple as that. Just look at the Display Lumascape. A week ago, John Battelle reviewed recent advertising-related developments, Everybody’s Going Native, to highlight that the ad industry was very alive and kicking with innovation, mergers and growth spurts. A few days later, additional significant developments have happened in the form of new funding or acquisitions, signalling that the wind is definitely blowing in the advertising industry’s sails. Of course, the recent merger of Publicis and Omnicom was a head turner in the advertising industry, but if you follow what these 6 companies are doing in online, social and native advertising, you will get additional clues as to where advertising is going. Adapt.tv a video advertising platform known for its leading edge programmatic ad buying, was acquired by AOL for $405 million. Why? Programmatic ad buying is on the rise. Inadco raised $11M in a Series B, enabling the creation of native ad units to serve consumers who have demonstrated intent for a specific product or service. Why? The intersection of capturing purchase intent in a native ad format is another frontier that makes a lot of sense. HootSuite raised $165M in a Series B. Why? They are going after the social ad business in a big way, as one of only five Twitter Ads API partners. RebelMouse raised $10.25M in a Series A, one year after a seed round. Why? They plan to start running native advertising on their (relatively) small network of 7 million uniques on social pages. YieldMo is a new breed of mobile advertising network, focused on placing native ad units in a growing real estate of prestigious mobile properties. Why? They could crack the code of native advertising on mobile. Innovation and experimentation are everywhere, with new models and new bets. David Ogilvy, the Father of “Soft Sell” Advertising is rolling in his grave.